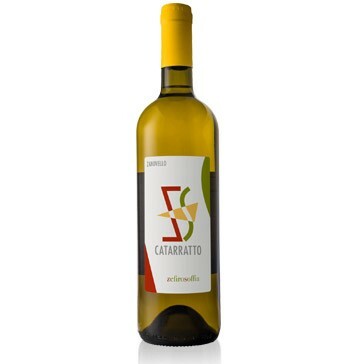 The spontaneous freshness, flavor, mineral and floral qualities, the layered sensations of white flowers, fruity notes and hints of aromatic herbs, make it a very pleasant and versatile white all-around. The company was born from the passion and commitment in Sicilian lands of the Zanovello family, which owns the well-known winery Ca 'Lustra in the Colli Euganei. The vineyards, with Guyot training, are located in the district of Costa di Bisaccia, near the village of Grisì in the province of Palermo, on hills of mostly dolomitic ground with a significant presence of calcareous sand, at 300-380 meters above sea level. Excellent with seafood dishes and first courses with light sauces, perfect as an aperitif. Wineshop.it Managing Director, Ing. Andrea Gaetano Gatti, has been invited to present Wineshop.it "success story" during an e-commerce workshop organized by Regione Piemonte and lead by the television journalist Bruno Gambarotta, that took place Saturday October 23rd during the Salone del Gusto fair in Turin.